Leo Burnett Dubai has rolled out this animated film, “Give In To Giving,” for Emirates NBD, one of the biggest banks in the UAE. The film sprung from the insight that altruism is deeply rooted in human nature. Volunteering for a cause, big or small, fulfills our natural instinct to help, share and get involved. The film brings this idea to life as we are introduced to an uncaring man who goes through life oblivious to others’ needs. 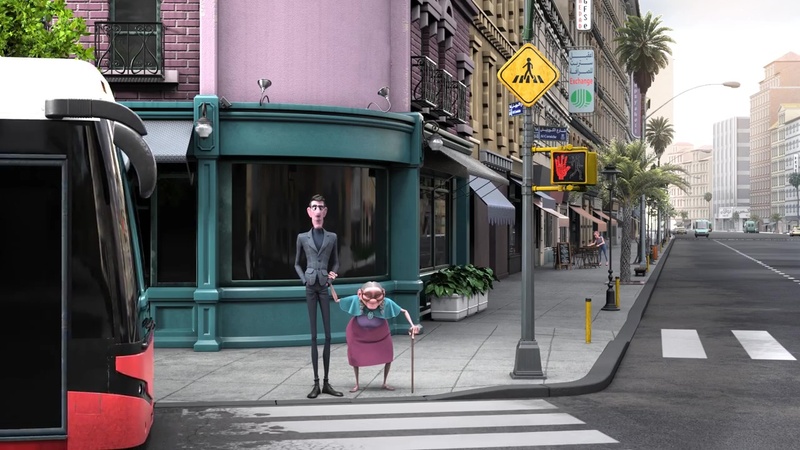 However, when an elderly woman grabs his arm and forces him to walk her across the street, something clicks inside him--and he changes his ways. Given a second chance, he responds to others in a caring fashion. He then runs across another gent as uncaring as he was. He then converts this uncaring chap by posing as a blind man who needs help across the street. Directed by Aryasb Feiz via Hanzo Film, Dubai, the film underscores ENBD’s holistic and responsible approach to banking that leaves a positive impact on the community. Furthermore, ENBD maintains Exchanger, a volunteer program that’s been creating opportunities for employees, friends, family and partners to commit some time to promote social good and make a real difference. This year, ENBD is opening up this program to the citizens of UAE.